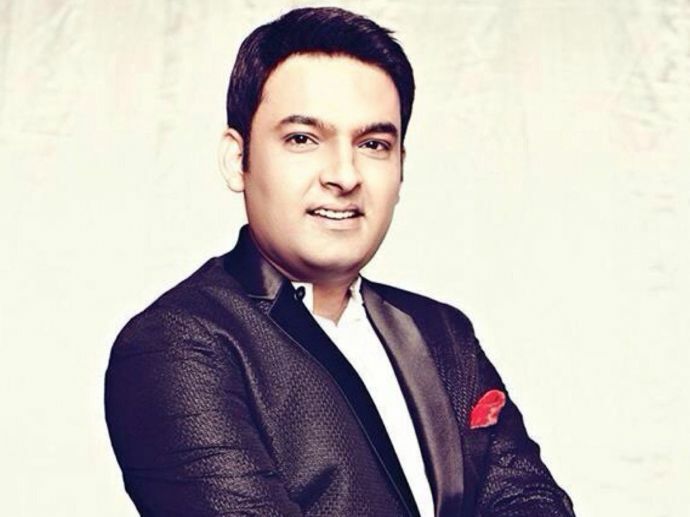 Has Kapil Sharma Secretly Married His Lady Love? Except his Facebook and Twitter post no official confirmation had been made by Kapil Sharma. One of the most eligible bachelors of Bollywood and Tellywood Comedian and actor Kapil Sharma is not a bachelor anymore. Shocked? Well, yes in a recent Tweet Kapil shared an adorable photo with her girlfriend Ginni aka Bhavneet Chatrath and wrote, "Will not say she is my better half. She completes me. love u ginni. Please welcome her. I love her so much:)." Making a huge suspense before uploading the photograph Kapil teased his fan by Saying "Hi..want to share something very beautiful thing with u guys. Wait for 30 mins." Hi..want to share something very beautiful thing with u guys ...wait for 30 mins .. This outspoken Comedy show host is always known for hiding his personal life from media. However, he always takes Deepika’s name when anyone asks him about his love. But after posting this photograph may be his fans will get their answers. As this news hit the internet the confusion and rumours started flowing. Some are saying this is just a publicity stunt for his forthcoming film, Firangi. Well, until any explanation comes from Kapil Sharma, we have to wait! 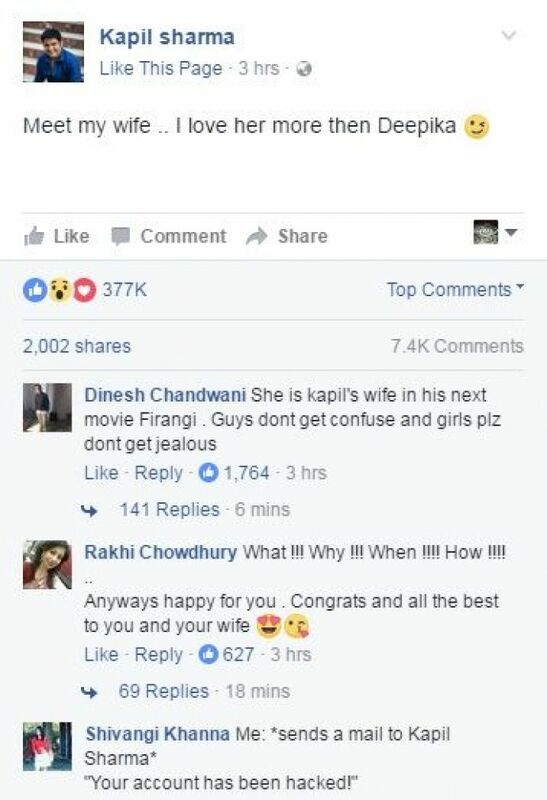 Well, Kapil, if you are really married, we wish you a HAPPY MARRIED LIFE!